The National Marine Sanctuary Foundation is seeking proposals in a pilot program to promote sustainable recreational fishing in a major Northeastern marine sanctuary. The project is in cooperation with Stellwagen Bank National Marine Sanctuary, which is off the coast of Massachusetts and Maine. The sanctuary and foundation are soliciting proposals for education, outreach, and conservation projects that forward the mission of the sanctuary, engage the recreational fishing community, and promote sustainable recreational fishing targeting species found in the sanctuary. Total funding available is $3,000. The average award is estimated to be $500-$1,000 but will be determined based on proposals received. 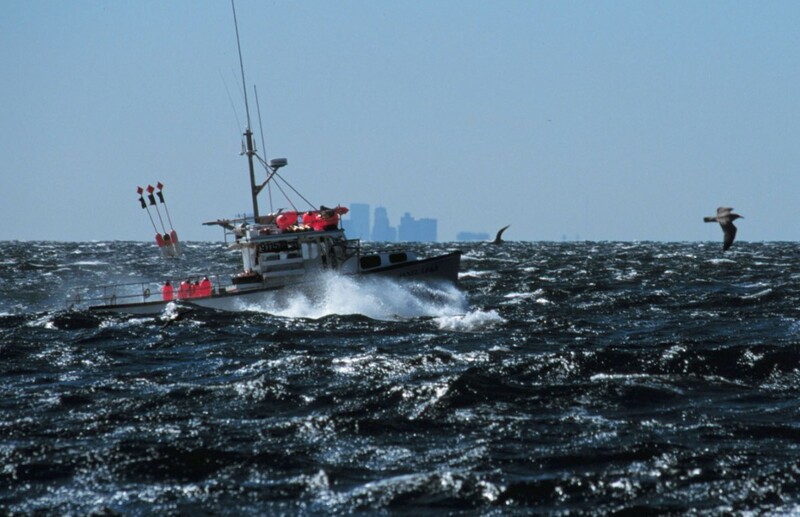 Recreational and commercial boats like the one shown here can fish in Stellwagen Bank National Marine Sanctuary. “The recreational fishing community is diverse and widespread with a deep knowledge of local waters, including the sanctuary, and a great appreciation for our shared resources,” the request stated. Project themes should support conservation, addressing issues such as bycatch, barotrauma, or interactions with whales, for example. They should also promote sustainable fishing in the sanctuary. Finally, they should improve awareness and education of fishermen about the sanctuary and its rich diversity of marine life.